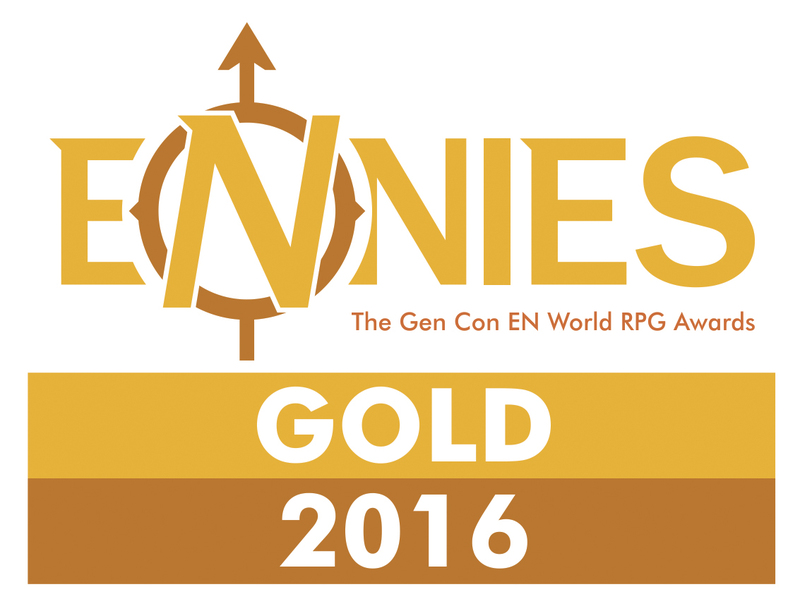 It’s RPG Blog Carnival time once again! This month’s theme – invasive species! If you’ve been following my blog you know that this is one of my most very favorite subjects. Big shout out to Garrison James over at Hereticwerks for this badass theme of amazingness! Invasive species have spoken to us as enemies and engines of conflict for a long, long time. Aliens are the obvious example – Invasion of the Body Snatchers, Independence Day, and The War of the Worlds are good examples of little green men as invaders. Yet, the idea of invasive species goes beyond aliens. 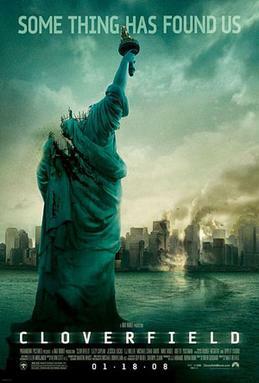 Monster movies like Godzilla and Cloverfield could be considered to have the invasive species theme. Alfred Hitchcock’s The Birds clearly has it. What about microorganisms? Even Y: The Last Man could be considered a story with invasive species. Heck, we see it in our real world all the time! Kudzu in Georgia, African hippos in Colombia, and Burmese pythons in Florida are all examples of real world invasive species. Even the tagline for Cloverfield ads played on the idea of invasive species. Anyway, you get the idea. It’s a topic central to many great stories. If you’ve been following World Builder Blog the last few months, then you already know two of its iconic invasive species. 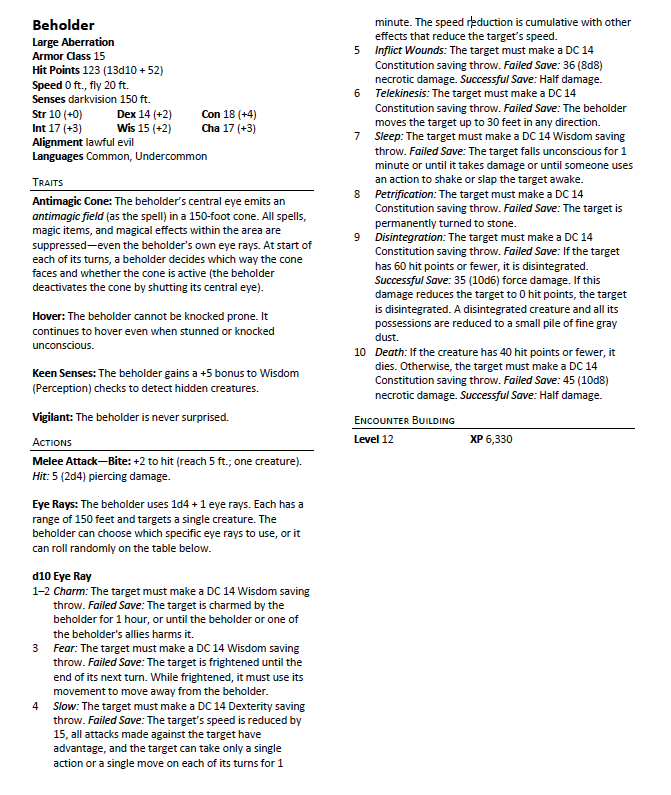 Today I’ll be presenting you with the Dungeons and Dragons Fifth Edition statistics for the half-devil, half-aberrant morchia and the mind controlling, parasitic mystauk. Like this but with more aberrant stuff! The morchia are known as The Sleeping Ones, since The Reckoning Spell put a majority of them literally to sleep in the Verdan Underdark. Still, some of the beasts have escaped the tiefling’s ritual. These half-aberrant, half-devil monstrosities live to punish all other sentient races who would call Canus home and claim a piece of it for themselves. They have a particular hatred for metallic dragons, whom they see as the oppressors and murderers of their parent races, and for tieflings, who use The Reckoning Spell against them. Morchia are often hatching plots which involve the destruction of a local people or settlement. While they rarely work with native races of Canus, they will work with aberrants, devils, and weak creatures who are subservient to them. Those lesser beings who know their place will be rewarded. Because of their aberrant heritage, every individual morchia has a distinct and unique appearance. Some have tentacles, others many stalked eyes, others have multiple, sharp-toothed maws, and so on. Some have many aberrant features, but all have at least one. Morchia share a common set of traits given to them by their fiendish parents. All morchia have a set of horns upon their heads, clawed fingers, and a fierce, spear-tipped tail. They also inherited some of the devil’s resistances. Damage Resistance: The morchia is resistant to cold, fire, poison, and damage from nonmagical weapons except those made of silver. Magic Resistance: The morchia has advantage on saving throws against magical effects. Telepathy: The morchia can communicate telepathically with any creature within 100 feet of it that can understand a language. Multiattack: The morchia can make two claw attacks, one claw attack and one hurl flame attack, or two hurl flame attacks. Melee Attack – Claw: +8 to hit (reach 10 ft.; one target). Hit: 14 (2d8 + 6) piercing damage. Melee Attack – Rend: If the morchia hits one creature with two claw attacks on the same turn, it may use rend against that creature as a bonus action. +8 to hit. Hit: 22 (4d8 + 6) piercing damage. Ranged Attack – Hurl Flame: +6 to hit (range 100 ft. one target). Hit: 21 (6d6) fire damage. Every morchia has at least one aberrant trait (and many have more). Roll on the chart below at least once to give the morchia a special ability. Unless otherwise specified, the GM determines the exact nature of the morchia’s physical feature. For instance, if a morchia has the four tentacles feature, these tentacles can grow from their head, back, waist, or anywhere else the GM chooses. GMs may feel free to plunder abilities from other aberrant creatures rather than use the table below. 1 Four Tentacles When using multiattack, the morchia may make tentacle attacks in place of a claw of hurl flame attacks. Tentacle: +8 to hit (reach 15 ft.; one target). Hit: 11 (1d10 + 6) bludgeoning damage, and the target is grappled. Until the grapple ends, the target is restrained. The morchia has four tentacles, each out which can grapple only one target. 2 Multiple stalked eyes The morchia may use its action to fire 1d4+1 eye rays. Use the beholder eye ray ability to determine the effects. 3 Constantly speaking mouths grow all over the morchia’s body, constantly speaking infernal incantations The whispers drive fear into the hearts of the morchia’s enemies. The creature gains a fear aura. Fear Aura: Any creature which starts its turn within 5 feet of the morchia must make a DC 15 Charisma saving throw. Failed Save: The creature is frightened for 1 minute. Successful Save: The creature is immune to this morchia’s fear aura 24 hours. In addition, as a bonus action the morchia may attack an adjacent creature with a bite attack. +8 to hit (reach 5 ft.; one target). Hit: 12 (1d12 + 6) piercing damage. 4 A foul smelling, purple ooze exudes from the morchia’s pores and absorbs harmful magic The morchia is immune to spells of 6th level or lower, but can choose to be effected by any spells cast upon it. 5 The morchia can float above the ground, propelled by an unnatural force. The morchia gains a fly speed of 40 ft. It cannot be knocked prone and continues to float, even when stunned or knocked unconscious. 6 The morchia’s forehead protrudes, a signal that its mental prowess is beyond that of other morchia. As an action, the morchia can use Dominate Person: The morchia chooses one target it can see within 50 feet. The target must make a DC 14 Wisdom saving throw. Failed Save: The morchia has access to all of the target’s thoughts and memories, and the target is charmed for 1 day or until the morchia or one of the morchia’s companions harms it, or until the morchia is killed. While charmed, the target must obey the morchia’s commands. The morchia can have only one creature charmed at a time. If the charmed creature takes any damage, it can make a DC 14 Wisdom saving throw to end the effect. A creature remembers being charmed by the morchia. Successful Save: The creature is immune to the morchia’s dominate person ability for 24 hours. 7 The morchia grows cat eyes upon its hands, which can emit a mental blast. The morchia emits psychic energy in a 60-foot cone. Mind Blast: Each creature in the area must make a DC 14 Intelligence saving throw. Failed Save: 22 (4d8 + 4) pyschic damage, and the target is stunned for 1 minute, but can repeat the saving throw at the end of each of its turns, ending the stunned condition early on a successful save. 8 Purple, protruding veins Once per day, the morchia can enter a Pyschic Rage: For ten minutes, the morchia does an extra 10 damage on all melee attacks and has advantage on melee attack rolls. 9 The morchia has black claws, which are always sharp and stronger than adamantine. When the morchia successfully uses its rend attack, the target must make a DC 14 Constitution saving throw, or die instantly as its body is torn to shreds. 10 Third eye The morchia’s third eye emits an anitmagic field (as the spell) in a 150-foot cone. All spells, magic items, and magical effects within the area are suppressed – even the morchia’s own abilities (if applicable). At the start of each of its turns, a morchia decides which way the cone faces and whether the cone is active (the morchia deactivates the cone by shutting its third eye). 11 Acid drips from the morchia’s mouth. The morchia gains two new actions a bite and an acid spray. As part of its multiattack it may use its bite in place of a claw or hurl flame attack. Bite: +8 to hit (reach 5 ft.; one target). Hit: 16 (3d6 + 6) piercing damage and 7 (2d6) acid damage. Acid Spray (Recharge 5-6): The morchia can breathe acid in a 30-foot line. Each creature in the line must make a DC 14 Dexterity saving throw. Failed Save: 21 (6d6 damage) acid damage. Successful Save: Half damage. 12 The morchia has two aberrant features. Roll twice on this table. This guy is in your head! Mystauk – terrifying mind-control parasites which latch onto the brain after entering the skull via the ear, nose, or mouth. Mystauk have only instinct, until the attach themselves to another mind. As host-less bugs they have a speed of 20 feet, fly speed of 30 feet, 1HP, AC 14, and a +6 bonus to Dexterity (stealth) checks. They have advantage on Dexterity (stealth) checks when hiding in dense foliage thanks to their green coloring. When a mystauk crawls into a host’s head, the host must make a DC 20 Wisdom saving throw, or the mystauk infects the host. A successful save means the mystauk must leave the hosts head and cannot try to infect that host for another 24 hours. The mystauk has no other attacks. When attached to a host, the game changes for the mystauk. They are able to fully access the host’s brain, making the parasite smarter, while making the host’s body faster and stronger. The mystauk fully controls the actions of the host until removed. Historically, mystauk are only known to infect humanoids. Sages and scholars theorize that other species have brains too simple or too complex for mystauk to conquer and humanoids make the perfect host for them so they do not bother using other creatures as hosts. Others believe the mystauk have infected all manner of creatures, even dragons, the world just has not been made aware of such developments, because the mystauk are too deceptive. A mystauk adopts the abilities and proficiencies of the host. All of the host’s ability scores become 20, as the mystauk is able to unlock the host’s brain and body’s full potential. For the same reason, the mystauk adds the host’s proficiency bonus to all saving throws. The mystauk is also proficient in the Charisma (deception) skill once it has a host as it has access to all of the host’s thoughts and memories. The mystauk can communicate with the host, but the host cannot hear the mystauk’s thoughts unless the mystauk wants it to. A mystauk can tell when another inhabited host is in their presence and can communicate telepathically with any other awakened mystauk within 25 feet. 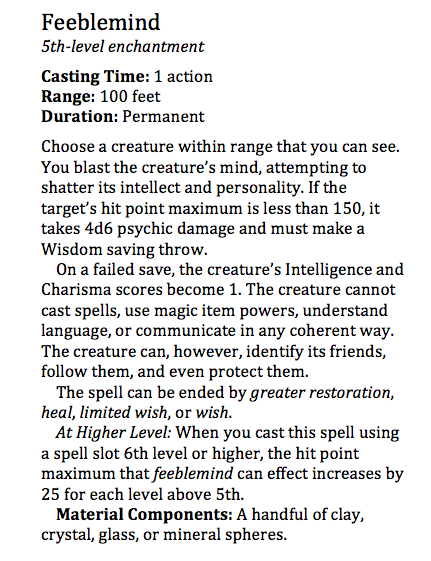 If a successful feeblemind spell is cast against the mystauk and host, the mystauk detaches from the host’s brain and cannot reattach itself to that host for another 24 hours. If the host dies, the mystauk detaches from the brain. Wow! The Morchia are wicked things, but the Mystauk is truly creepy in all the right ways for getting player’s skin to crawl. I haven’t looked at the 5E stuff yet, but if this is the way it treats critters…I’m a lot more interested. Be on the lookout! I have high hopes for this edition. Thanks for the compliments, that’s what I was going for!